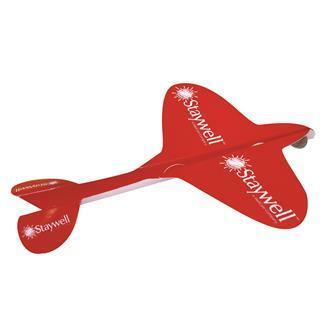 The elliptic paper airplane is ideal for fairs, festivals, parades, air shows, conventions, travel agencies, marketing programs, and much more. Made from sturdy paper board stock with high gloss uv coating on the front and uncoated on the back. Shipped in sheet form with assembly instructions. Ideal for the travel or airplane enthusiast. A unique way to show your custom message or logo. Requires a nickel in the nose of the plane to fly, not supplied.